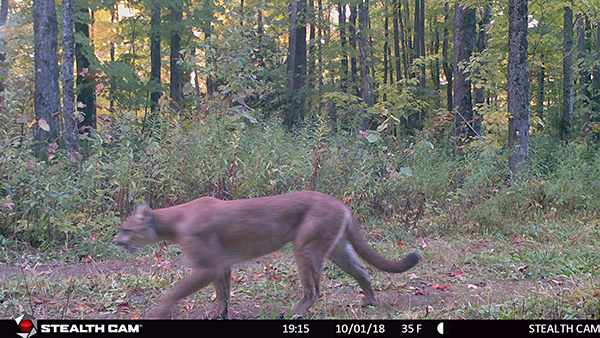 Tag Archive | "Gogebic County"
This mountain lion was caught on a Michigan Department of Natural Resources game camera Oct. 1 in Gogebic County. Photo by Michigan Department of Natural Resources. 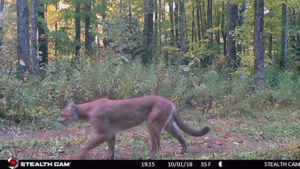 A game camera set up as part of an ongoing state deer movement study has captured images of a cougar in the Upper Peninsula’s Gogebic County, about 9 miles north of Ironwood. 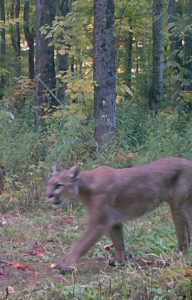 The images were reviewed and verified by the Michigan Department of Natural Resources cougar team. A graph shows the number of confirmed Michigan cougar reports in recent years.